The Department of Buildings and General Services exists primarily to provide the facilities and services required for all state agencies and departments to accomplish their missions. Building construction and renovation, buildings and grounds maintenance and custodial services as well as the security of state facilities constitute some of the most significant aspects of the BGS mission. Over 334 employees are dedicated to providing safe and healthy working environments in over 4 million square feet of office, customer service areas, information centers, courtrooms, correctional facilities, and storage space. In addition, BGS provides postal, print and copying services, manages the state’s fleet vehicle inventory and oversees all of the state’s purchasing, contracting, and surplus property requirements. 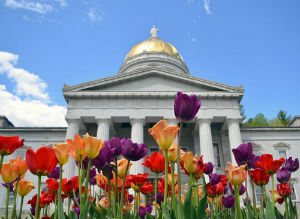 We strive to be a friendly and responsive organization and the measure of our success is directly proportional to the success of the people we serve— those who serve Vermont. The Service Desk is the single point of contact for state IT services.